In true Formula E style, chaos and confusion were on order during the 2018 Paris ePrix before home hero and current Drivers' Championship leader Jean-Eric Vergne won his 3rd ePrix of the 2017-18 Formula E Season. "I can't find words," said Vergne after taking the chequered flag. It was also his first-ever win on home soil. "It's an incredible feeling, by far my best victory." Things started to go right for Vergne early as he claimed his 4th pole position of the season, more than two tenths ahead of DS Virgin Racing's Sam Bird and teammate, Andre Lotterer. We have seen that Vergne is conventionally great at converting these pole positions into victories and the Paris ePrix was no different. In fact, he has now converted his pole position to a victory 3 out of 4 times this season. Despite the pole, qualifying had its fair share of drama for Vergne as he was fined €1000 for speeding in the pitlane during qualifying. The Mahindra Racing drivers, who have otherwise enjoyed a quick package at most circuits this season, had a disappointing run. Felix Rosenqvist, who claimed pole in two of the last three ePrix, struggled for grip all through and could only qualify 11th, while teammate Nick Heidfeld qualified 12th. They were half a second off the fastest lap. The Paris ePrix had a dramatic last lap as Techeetah lost out on a 1-2 finish when Andre Lotterer suddenly slowed down (due to a rapidly depleting battery). Loterrer's slow final lap meant that the German was defending heavily against reigning champion Lucas di Grassi (Audi, 2nd) and Bird. Loterrer's antics saw Bird clobber into the back of his Techeetah car causing damage to both cars. Funnily enough, Bird claimed 3rd with just three wheels attached to his car! Understandably enough, di Grassi and Bird expressed displeasure of Lotterer's driving post-race. Lotterer eventually finished 6th with a broken rear spoiler, a strong indicator that along with racing, drivers need to keep a keen eye on battery management. However, Loterrer's issues meant that Maro Engel secured his best-ever Formula E finish (4th), followed by the 2015-16 series champion Sebastian Buemi in fifth. 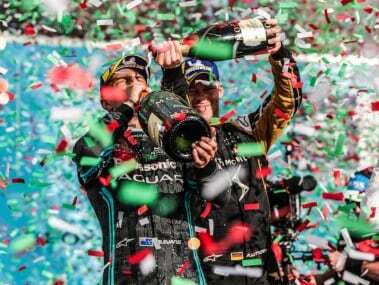 Also, this was Lucas di Grassi's third consecutive 2nd-place finish after a slow start to the season. However, di Grassi is 5th and nearly 100 points down on Vergne - which means that we will have a new winner this season. As with most Formula E races, the Paris ePrix too had its share of crashes – apart from the one on the last lap! Mitch Evans and Tom Blomqvist's crash caught Nicolas Prost unawares causing damage to his car that prompted race control to wave the black-orange flag - thereby forcing him to pit and repair the damage. Prost eventually finished 16th and outside the points. In Paris, Mahindra Racing could manage to score points only with one driver - no points for guessing which driver failed to score yet again. Formula 1 veteran Heidfeld finished 11th while registering his 6th zero-points finish in eight races. As for Felix Rosenqvist, he settled for 8th place only to see his championship rivals gain points on him yet again. It would be interesting to follow Mahindra Racing's post-race debrief and how they recover from here. They have a fast car but have failed to capitalise on their package after their early season success. Vergne is having a thoroughly dominant season and is the title favourite with four ePrix to go. 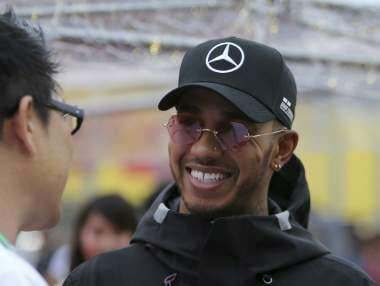 At 147 points, he is 31 points ahead of Sam Bird - both of whom have pulled away from early championship leader and Mahindra Racing driver, Felix Rosenqvist. To put Vergne's dominance into perspective, he has led 42% of all laps this season. In addition, he has been the very definition of consistency, with 5th place being his worst finish this season. In the Team Standings, Techeetah are 55 points ahead of their nearest rivals DS Virgin Racing. Interestingly, all three of the team's victories have come thanks to Vergne. Lotterer, though a WEC Champion, is still to win a race in Formula E with his best place finish being 2nd. Mahindra Racing, despite a promising start to the season, when they were championship leaders, are trailing in 4th place with nearly 80 points down. It would take more than a miracle for Mahindra Racing to claim their first-ever title this year. The team will need to dissect where their season fell apart despite having one of the quickest cars on the grid. Vergne joined a growing list of professional drivers to own their own eSports team after he announced his partnership with Veloce Esports. Fernando Alonso, a former Formula One World Champion, has his own eSports team too and it would be interesting to see if virtual racing becomes a parallel to real racing, or if it would just be seen as a very good marketing platform. Four times Formula 1 World Champion, Alain Prost announced that he had sold his stake in the Renault e.dams team and that he would exit the team by the end of this season. The Renault-Nissan alliance means that the brand Renault would be replaced by Nissan from next season. Also for next season, Formula E has indicated that they could explore a Mario Kart inspired race format to introduce the element of strategy and avoid processional races. One wonders if Formula E is stretching it too far in its attempt to gamify Motorsport. It must be repeated that their delivery in the wheel-to-wheel racing context is spot on and it is just their 'car swapping' that needs to change — which will next season. While Formula E may have made strides in the technological development of electric mobility, they must also be reminded that they are a racing series too.